Must List: Your guide to Seattle's hottest events. 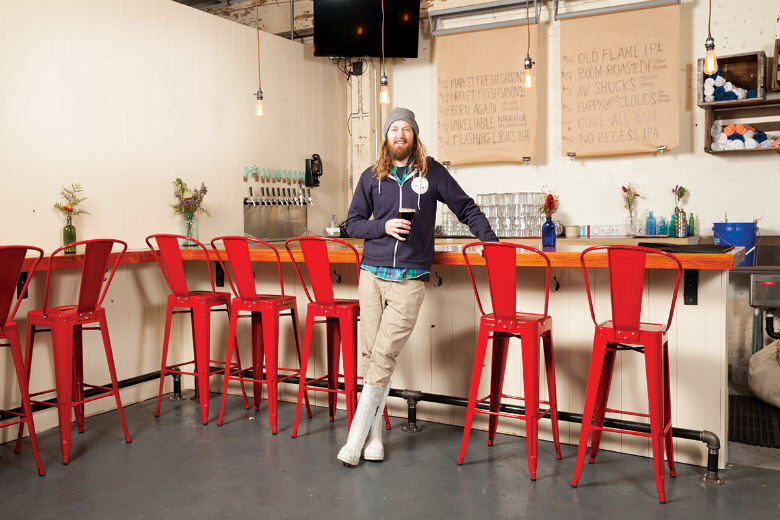 Cloudburst Brewing owner Steve Luke celebrates his brewery's second anniversary Friday. (1/5) Celebrate Cloudburst Brewing’s second anniversary with "loud music" and "dope food" while getting a taste of some of the fan favorite brewery’s newest beers (plus a return of some old faves). Cloudburst’s first anniversary party was a jam-packed affair, so prepare to get cozy with fellow beer nerds hoisting the barrel-aged treats being tapped. Noon to 10 p.m. Cloudburst Brewing, Belltown, 2116 Western Ave.; 206.602.6061; cloudburstbrew.com. (Now through 1/14) The English translation of this musical’s recurring catchphrase, “Hasa diga eebowai”—purportedly spoken by the residents of the Ugandan village to which its heroes, Elder Price and Elder Cunningham, are sent on a mission—is unprintable here, yet it is one of the elements that makes this musical (from the guys who brought you South Park) simultaneously one of the most outrageous, most winning, most adored and most profitable musicals in decades. Times and prices vary. Paramount Theatre, downtown, 911 Pine St.; 206.682.1414; stgpresents.org. (1/5–1/7) If the 1965 blockbuster is one of your favorite things, don’t miss this screening, which will include subtitled lyrics to all the Rodgers and Hammerstein songs so you can join in. (As if you don’t already know all the words.) A costume contest will be part of the fun. If you’re not up for making play clothes out of curtains, do what one attendee did: Don a yellow leotard and show up as Ray, a Drop of Golden Sun. Times vary. $31.25. 5th Avenue Theatre, downtown, 1308 Fifth Ave.; 206.625.1900; 5thavenue.org. (1/5-1/13) In just 48 hours, a battalion of directors, actors and playwrights came together with musicians and designers to create 14 different mini-plays. The 10-minute shorts will be performed during this quarterly Seattle festival that’s been running since 1997. Every play is an original never before performed on stage and nothing in the festival is repeated. In fact, 25 percent of the actors— whom performers refer to as ‘virgins’—are new to the cast every festival. Prices and times vary. ACT Theater; downtown, 700 Union St; 206.292.7676; the1448projects.org. (1/7-1/25) The folks behind Seattle Restaurant Week have rallied more than 30 local restos to celebrate the Northwest’s shellfish bounty. Participating restaurants, including Elliot’s Oyster House, Heartwood Provisions and Steelhead Diner, will prepare signature shellfish menus (four dishes, a la carte) available during dinner, though some will offer them during lunch. Sadly, the special menus aren’t available on Fridays and Saturdays. But you can always learn how to shuck oysters yourself. Times and locations vary; dinearoundseattle.org.